We recently reported that Blue Bridge Hospitality - owners of Leroy's Kitchen, Stake Chophouse, Liberty Public Market and many more local concepts - was in the process of taking over Islander seafood restaurant on Orange Avenue in Coronado for a rumored ramen eatery. 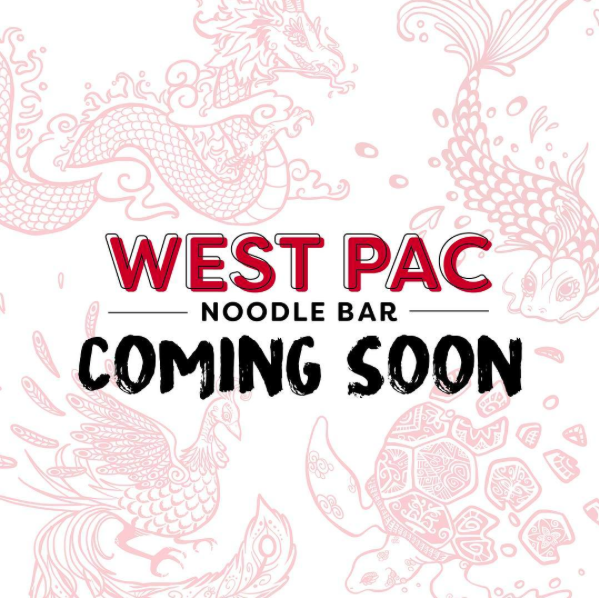 We now have confirmed that the restaurant will be named West Pac Noodle Bar and is anticipated to debut this Fall. Owned by Coronado native David Spatafore, Blue Bridge Hospitality has gained a stronghold on Coronado dining over its nearly two decade tenure. The group got its start in 1998 with MooTime Creamery and currently operates multiple family-friendly concepts in Coronado, including Village Pizzeria, Stake Chophouse & Bar, Lil' Piggy Bar-B-Q, Leroy's Kitchen + Lounge, Coronado Coffee Company and the new Maretalia Ristorante. Most recently, the hospitality group ventured into the city market spectrum with the launch of Liberty Public Market in 2016. Despite its popularity and positive online reviews, Blue Bridge will close Islander restaurant by the end of this month and will jump on the ramen bandwagon, transforming the space at 1166 Orange Avenue into West Pac Noodle Bar, anticipated to debut as early as this September. With a name derived from the U.S. Navy's "West Pac Tours", West Pac Noodle Bar will have a menu designed by Blue Bridge Hospitality's Corporate Chef Tim Kolanko that will include a fusion of offerings like ramen and other noodle soups, dumplings, poke bowls, dim sum, and 24 local beer taps, wine and sake. For more information on Blue Bridge Hospitality and their various concepts, visit bluebridgehospitality.com.